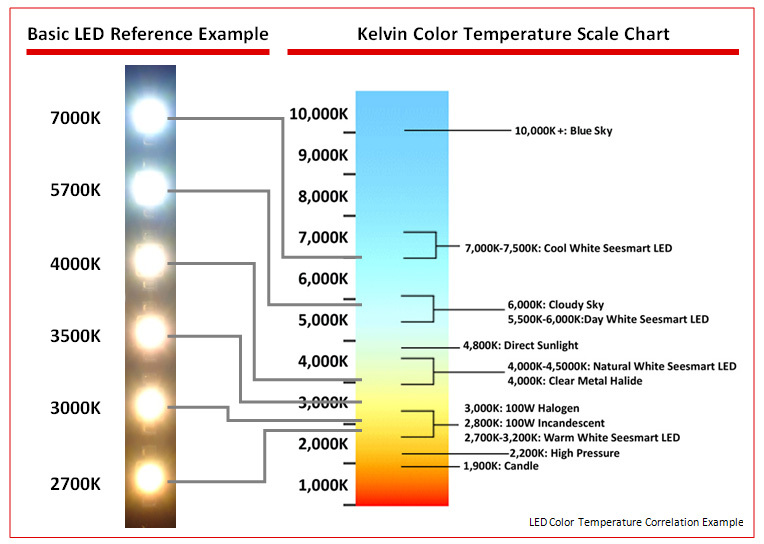 The correlated color temperature is the hue of color a light source produces. The unit of measure for CCT is degrees Kelvin and is on a scale from 1000K to about 10,000K. The higher the CCT the cooler or more blueish the hue of the light becomes. Lower CCT lighting results in a warmer, yellowish hue of light. Most lamps (a.k.a bulbs) sold today have a lighting facts area printed on their boxes that rate a lamps light color. Read our post on, "How To Read A Lighting Facts Label." See also, "What is a Color Rendering Index (CRI)?"